Contact 248.267.2603 for sales assistance. PRO-TEC, a world leader in advanced and ultra high-strength steel coating for the automotive industry, is seeking applicants to fill key technical positions to support expansion of its state-of-the-art facility in Leipsic, Oh. PRO-TEC is seeking individuals that will support a culture of safety and environmental compliance with safe operating pro cedures and practices, continuous improvement efforts, ability to work in self directed and team environment, and has strong communication skills. Must have demonstrated capability to work safely in a manufacturing environment with experience in lockout/tryout of all energy sources. PRODUCTION ASSOCIATES: Responsible for working with customer specifications of packaging and material handling equipment including coil scale, coil marker, ID and OD banding units, paper dispensing unit, packaging crane, & printers. Also performs duties related to receiving substrate, shipping coated coils, and other associated warehouse activity. GROW WITH A WINNING TEAM! To apply, you must have a high school diploma; be at least 18 years of age with a valid driver’s license at the time of employment; have the ability to work rotating shifts and perform physically active job tasks and a willingness to participate in pre-employment testing and screening. Applications will not be accepted at the plant location. Under “Selected Location”, scroll down to “Leipsic, OH”. Click on “Search” to select the available position(s). Findlay, 1730 E. Melrose Ave.; or Defiance, 1018 Ralston Ave. Questions, call (419)227-0113. PRO-TEC Coating Company, a world leader in hot-dip galvanizing for the automotive industry, is seeking a Software/Systems Engineer to support its state-of-the-art facilities in Leipsic, Ohio. Responsibilities include maintaining and developing plant automation in a manufacturing environment. Position requires programming skills in Fortran/OpenVMS and Java/Linux environments. Additional knowledge and skills in relational databases and web-based development are a plus. Applicants should possess a bachelor’s degree in an engineering or programming discipline. Strong communication skills and capability to work actively in a participative team environment are musts. Position requires strong communication skills, management experience, and the ability to work independently. Incumbent will be responsible for supporting the HR Department through; management, compliance and enforcement of HR policies, procedures, and programs. Also, training development, employee relations, investigations, performance management, and health and wellness compliance. Knowledge of Microsoft Office and advanced writing skills preferred. Bachelor degree in Human Resources or related field is required. 5 years of professional HR experience specifically in management, compliance and enforcement of human resource related policies, procedures, and programs. MBA and PHR certification preferred. Enhance your Technical Education with Hands on Experience. 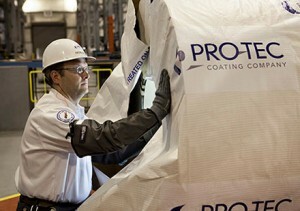 PRO-TEC Coating Company, located in Leipsic, OH, is an innovative leader in technologically advanced steel. We are seeking candidates for our NEW Technical Education Scholarship & Manufacturing Internship at our state-of-the-art facility. We believe in manufacturing careers and are committed to providing students with the skills and education needed to be successful in the manufacturing industry. We are looking for students who have a good mechanical aptitude and are interested in manufacturing processes. The skills you learn will help you prepare for future employment: teamwork, mechanical skills, safety, problem solving, customer specifications, working with tools and equipment, and learning quality systems. This Program includes a part time internship in the manufacturing environment as a Packager as well as focused training in several areas of manufacturing, for a full understanding of the manufacturing process. The Scholarship will pay a portion of your college credits each semester. Please send your resume to PRO-TEC Coating Company, 5500 PRO-TEC Parkway, Leipsic, OH 45856 or submit online at info@proteccoating.com. If selected, you will be contacted to complete the required testing. To apply, you must have a high school diploma (or obtaining one in May), plan to attend a 2-year college, be at least 18 years of age with a valid driver’s license at the time of employment, be willing to work in the manufacturing environment, have the ability to work two weekends/month, and perform physically active job tasks safely.